Pride Cleaners Shirt Laundry plant is located at our N. Main Street location. Each shirt is laundered and pressed with the most modern and efficient equipment available. Our caring staff personally inspects each shirt for missing or broken buttons before being returned in like-new condition. 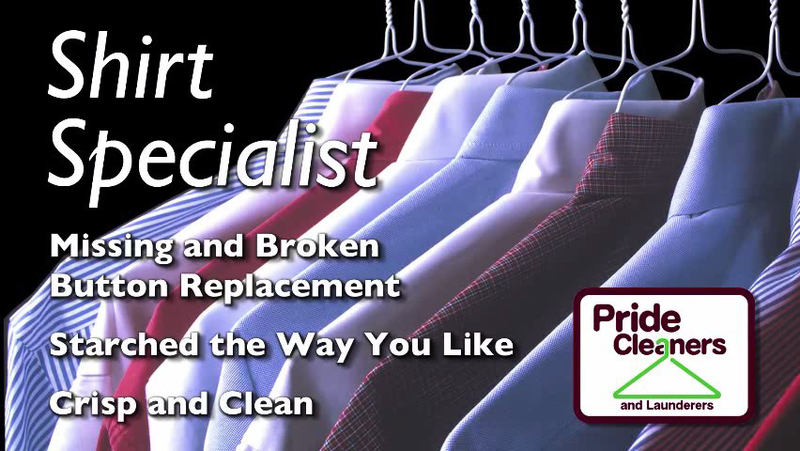 When you remove your coat, you can count on a Pride Cleaners shirt to look good.